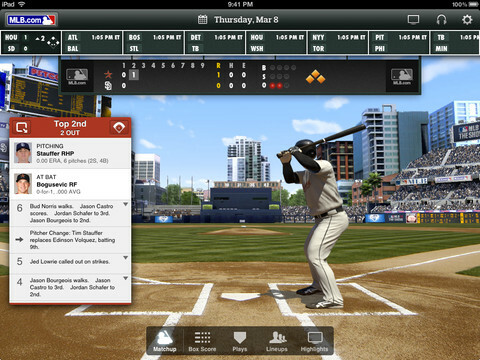 Major League Baseball’s MLB At Bat 2012 app launches today on both Android and iOS. The app brings the widely praised franchise back for another season and it has several important changes for baseball lovers. Among these is the fact that it will be one of the first apps outside of the publishing world that will have access to Apple’s recurring monthly subscription option right in the app. The radio streaming app Pandora got them last November. The new app is also now free to download from the App Store and there are some nice subscription options. The Next Web had a chance to speak to the MLB about the app and the new features and it looks like it will be another great version of the app. 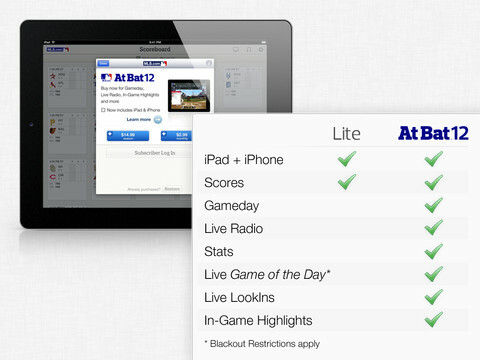 For the first time ever, MLB At Bat 2012 will be one universal app, free to all, with Android and iOS feature parity. That means that the app is identical, across all platforms, with all features available. Previously, due to technical restrictions, Android users couldn’t access some of the video highlight features, among others. Now, every version of the app has all of the features available, which is very cool. The iOS app is also a universal binary, which means that one download will work on all of Apple’s devices. There was a ton of work put in to combine the codebases of the apps and to bring them into a harmonious package that will work across all devices. Another big change for At Bat 2012 is the cost. The app is freely downloadable from the App Store and the Android Market, which is a change from last year, when it was a $15 download on the iPhone and iPad. The free app is roughly the equivalent of the ‘At Bat Lite’ app that has now been done away with. Instead, the MLB is letting you grab it for free, and then will offer several ways to unlock the app’s additional functionality. Any feature unlocks you purchase, say, on an iPhone, are also available on the iPad via a ‘restore’ purchase button. 3. The third tier has exactly the same features, but bills at a monthly $2.99. This subscription level is available to iOS users only, but the MLB indicated that it was working to bring it to Android as well. 4. 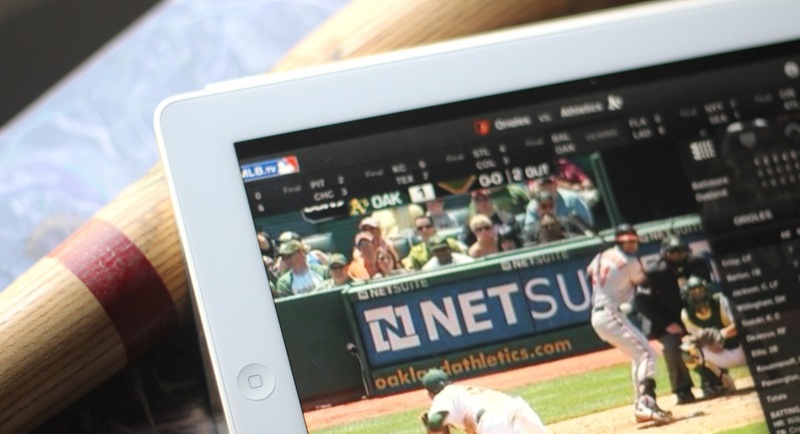 All features are free to MLB.tv subscribers, who just authorize account after launching the app. This essentially makes the app free on any and all platforms for anyone with an MLB.TV subscription. In addition, live video broadcasts of some of the 150 Spring Training games and all 2,430 regular season games are available to subscribers. Previously, the MLB.TV subscription was $119, with $14.99 additional required to purchase each app that a subscriber wanted to use. The subscription is now $125, but all of the features of the app, on any platform, are free to use. So, for subscribers, it’s actually $10 cheaper, and for those who aren’t, you get a universal app usable on any iOS or Android device. Unfortunately, blackout restrictions will still apply on a per-market basis, so if a local team’s game is televised in your area, you still won’t be able to watch it on your iPad. Such is life. The monthly subscription option is honestly perfect for At Bat. This should help downloads and subscriptions later on in the year as there are doubtless many who have not have wanted to pay the full $14.99 price with part of the season already gone. The MLB is a good Apple partner who already offers its content on the Apple TV. This is an ideal way to expand the monthly recurring payments outside of the publishing world, beyond Pandora. This could prove to be a lucrative model for those who want to offer a lower adoption price for apps that offer serialized video content, for instance. Rather than having to ‘in-app-purchase’ every episode, or charge for a ‘season’s’ worth of content up front, they can bill monthly. The MLB also told us that it will be announcing a new ‘Ballpark’ app that will replicate the functionality of the ‘At the Ballpark’ section of last year’s At Bat app. This acts as a companion app for you to take along with you to your local ballpark. It will offer localized options that are specific to your park, like access to promotions, interactive maps, security and more. The app is launching today, although the content will be limited for a while. This is largely due to the fact that not all ballparks hosting spring training games are equipped with the technology to offer video, pitch-by-pitch or even audio of the games. If you’re not familiar with the At Bat App, then you don’t know just how great a job the team has been doing over the past couple of years. Since the app launched in 2008, it’s been the gold standard for sports apps. Really, anything from the NFL, NBA or NHL pales in comparison to the level of detail at work in the flagship MLB app. You can tell that the team respects baseball, but also loves building great apps, something that you just don’t find in a lot of sports apps, where more often than not you’ll find a web view embedded in a crappy looking native frame, with all of the stink of a cash grab. 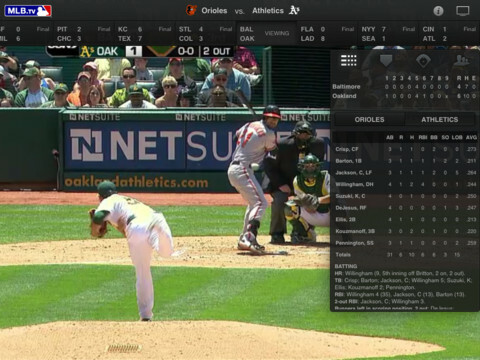 Conversely, the At Bat App is s a joy to use and has become an integral part of my baseball watching experience. The first spring training game will be this Saturday, March 3rd, so grab the app now on the App Store, and soon on the Android Market to get ready.